성남에 위치한 한국GE초음파 (GEUK, GE Ultrasound Korea) 는 대규모 Global 초음파 연구개발 및 생산 기지입니다. 연구개발을 담당하고 있는 R&D Center는 General Imaging & Women’s Health product line 을 총괄한 첨단 초음파 기기 기술을 이끌어 나가는 글로벌 테크놀로지의 허브입니다. 고객이 필요로 하는 새로운 기능에 대한 욕구를 충족시키는 우수한 제품을 개발해 내고 있습니다. 주요 생산모델로는VOLUSON S6/S8/S10/S10 Expert, VOLUSON P6/8, LOGIQ S7, LOGIQ S8, LOGIQ P7/P9가 있습니다. GE Ultrasound Korea 초음파 사업부에서 (성남근무) Software Engineer 대리~부장급 (경력에 따라 직급 논의) 인재를 채용합니다. 리딩하는 업무이며, 스팩정리, Product 내부 구현/개발/업그레이드 등 관련 프로젝트 업무를 수행합니다. 주요 언어는 C++과 C# 입니다. 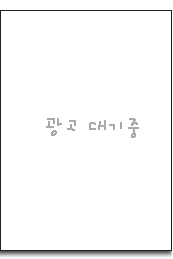 둘 다 활용하시는데 자신있는 분을 채용하고자 합니다. 모바일에 국한된 경력보다는 PC 또는 PC+모바일 경험이 있는 분을 선호합니다. 자신있게 표현 가능한 분 및 성남 근무 가능한 분을 채용합니다. The Software Engineer has responsibilities extending to the development of systems software within the P&L. Additionally, the position may develop, debug and verify distributed software applications to enhance medical device’s functionality and integrate peripherals on the system. The Software Engineer will work cross-functionally to ensure that our system is configurable, secure, performance and scalable. •Designing and building strong security features with the alignment of window 10. 6.English in business level for communication and documentation.